The mind and body are more intricately connected than we might consciously consider. On some level, we know this. We might hold knowledge that when we are less stressed, we are less likely to get sick or to be overcome by headaches and migraines. We might know that stress also impacts our digestive system, the mind’s state contributing to whether our digestion is more free-flowing or more stagnant. This connection exists not only in these more apparent or well-documented ways; it is carried out within a multitude of links we do not yet understand, as individuals and as a collective. This mind-body connection exists whether we believe in it or not. With this in mind, we recognize that it is not something we need to strengthen – it is already alive and thriving. But, what we can do is harness its power by becoming more aware of it. By opening our awareness and facilitating our experience of it, we become more empowered to use it to guide ourselves towards wholeness. So, how do we tune into the innately connected system between the body and mind in order to make the most of it. Meditation allows us to take a step back from the egoic mind that already ‘knows’ and opens us up to simply observe both the mind and body. By practicing meditation, we heighten our awareness for the way that the mind creates sensations within the body, and vice versa. Visualization takes a different route but achieves the same outcome. By visualizing various parts of the body, certain images, and sources of light or other visuals, we begin to witness how the mind changes alongside our attention and focus. We feel the body shift as well. Visualization allows us to curiously explore that link between the mind and body. We open deeper to the possibility of this dynamic connection. 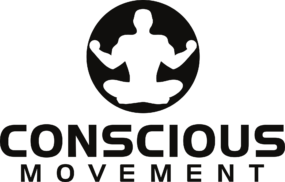 Movement that brings conscious awareness to energy, as expressed and moved through the body, facilitates a deepening of our awareness of the mind-body connection. Through these practices, we harness the power of this link, manifesting as increased energy, a sense of relaxation, and increased clarity and true vision, among other holistic benefits. It is not necessary to practice any specific regimen in order to harness the power of the mind-body connection. Through creative expression of any sort – dancing, writing, poetry, carpentry, love-making, painting, building, or gardening for instance – it is possible to tap into the way that the mind influences expression and how the body’s movement and form influences the mind. Simply bringing mindfulness and open curiosity to the way that things flow helps us to become more aware of this link. In order to know the world, we must first know ourselves. Put differently, in order to better know the mystery of the mind-body connection, we must be willing to be honest, vulnerable, and open to what lingers within us. Through consciously studying our own behaviors and our own patterns of thought, we open the door to understanding how the mental and physical bodies reflect one another – if there is stress in the mind, there will be stress in the body, and vice versa. This practice requires the capacity for honest observation and a willingness to see through our limited, conditioned belief system. By simply beginning to observe the breath, we start to notice how we can use the mind to gently soothe the body. By compassionately slowing down and deepening the breath using our capacity for focused attention, we find that the mind follows suit. As the mind follows, so does the body. Harmony is experienced more deeply and we begin to see that mind and body are more connected than we would have previously believed. Over time, any practice that heightens our awareness of the inextricable link between the body and mind helps us to better harness its power. By becoming aware, slowly and naturally, of how the two are deeply connected, we are able to take action by soothing and nourishing from either side of our dynamic being. This link is there whether we witness it or not, and as we open ourselves up to it, we begin to understand just how much it is capable of.